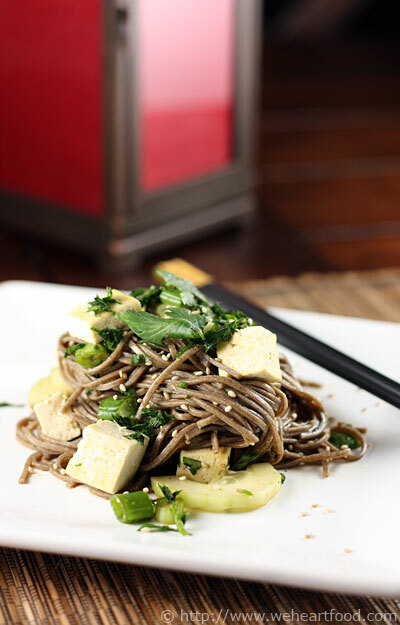 Here’s another recipe from Super Natural Cooking: Five Ways To Incorporate Whole and Natural Ingredients into Your Cooking: this one a cold noodle salad with a spicy dressing and browned tofu. We got impatient for dinner and didn’t brown the tofu as long as recommended, but it was delicious nonetheless. Leftovers were great the next day. Keep them cool — heating them up will make the noodles and tofu mushy.